Ryan O’Reilly – Trade Him? I’m sure you’ve read fifty seven opinions on why or why not the Sabres should trade center Ryan O’Reilly. This is one more, and coming from the guy who lobbied to trade for him on the Sabres radio show everyday for nearly a year. Me. 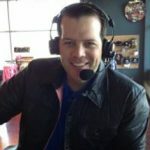 When I was the host of Sabres Hockey Hotline on WGR Radio, and the team was rebuilding under Tim Murray, Ryan O’Reilly was widely rumored to be available for trade with the Avalanche. The reason he was available was there simply wasn’t room to pay him and the other stars in Denver. Those stars (Gabriel Landeskog, Matt Duchesne, Nate McKinnon) were drafted high in the first round, thus thought of more highly and paid more early. There simply wasn’t room for everybody to be there and be paid. There also wasn’t room for everybody to be the star in Denver, and that’s what Ryan O’Reilly believed he was and/or wanted to be. The star player. The leader. He wasn’t, and was never going to be that in Denver, so he wanted out. With the circumstances in Denver, Tim Murray stepped in and swung a pretty good trade. The underachieving Mikhael Grigorenko was sent to the Avalanche along with Nikita Zadorov, JT Compher, and the 31st pick in the NHL Draft. Jamie McGinn also came along with O’Reilly, and it was an immediate and significant upgrade at forward for a Sabres team that tanked. Sam Reinhart was the 2nd overall pick by the team, and was going to learn from the hard-working, two-way center O’Reilly. I was thrilled. Acquiring a player of O’Reilly’s talent and ability at both ends of the ice was hard to do. He was a piece to build with. When the deal was made, I texted ownership to tell the Pegulas it was a great move, and I had wanted the guy for a long time. The response was ‘We know, we listen to the show!”. A fun response, and I thought it would be cool to share. I don’t believe for a second my daily discussion about the guy led to anything because I had other ideas that I was never consulted on. Some they should have, but I digress. Acquiring O’Reilly was one thing, but signing him to a long term contract was another. They needed to convince O’Reilly that he was a key piece, a focal point, and pay him as such. The Sabres did. His contract was huge(see it here from Spotrac) and raised eyebrows at the time as too much. I thought he was a $6 Million player, so 1.5 Million more per year to get him to sign and pay for his future potential is what was needed. It was a sign of commitment for the Sabres that were looking to turn things around. The future looked bright with a top centerman, a 2nd overall pick, and Tim Murray looking to make more moves. 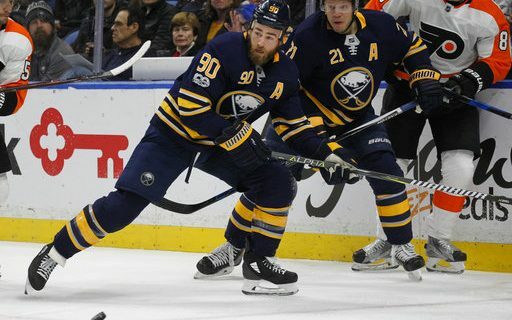 I’ll skip over the the rest of the moves that you know about and cut to the chase of where we are now with Ryan O’Reilly and why there are so many trade rumors with him. I don’t believe he’s happy not being the man, the star, the leader. O’Reilly is a very good player, but he’s not great and he’s not the man in Buffalo. Jack Eichel is. Eichel is more talented, can dictate the pace of a game, and the entire dressing room knows it. The entire NHL knows it. In addition, Eichel is paid more starting this year. Those things don’t sit well with O’Reilly, and it seems pretty transparent. If you followed the team and post game interviews, much of O’Reilly’s talk was about him needing to be better, how he didn’t get it done. You didn’t hear much about the team. I give him credit for always being available, but it all started to sound the same, and it grew tiresome. In my experience, that grows tiresome to teammates too. Very tiresome. O’Reilly, and this is just my opinion, seems like a me-guy. He so desperately wants to be the leader, the captain, the go-to guy, but he’s not, and he will never be in Buffalo. Sure he got paid, but that’s not enough for him. I think it’s great he wants to be the guy, but he has to recognize that he’s not and step aside. That can’t be sitting well with him because when he signed with the Sabres, all indication were he would be the man. It must feel like Colorado all over again, just with more money. The Sabres have to listen to offers, but they do not have to deal him. I think it would be ideal to get his contract off the cap. More flexibility. The return would also be significant because he is a very good player. They can also keep him, but I doubt that’s what he really wants. I’d still like to see it work out, but I have my doubts. Plus, in the end, they haven’t won with him yet. If the deal is there, I’d make the move.